Note: A Religious Emblems Counselor need not be a registered member of the organization (BSA, GSUSA, AHG, etc) for which he or she is counseling unless required by that organization. However, the appropriate Youth Protection Training for the organization must be completed with references checked or a background check completed as appropriate. VIRTUS® training must also be completed for all work done with Catholic youth in the Diocese of Winona-Rochester. See the Religious Emblems Info Sheet attached below for the required steps in the religious emblems process. as well as the Pillars of Faith application. 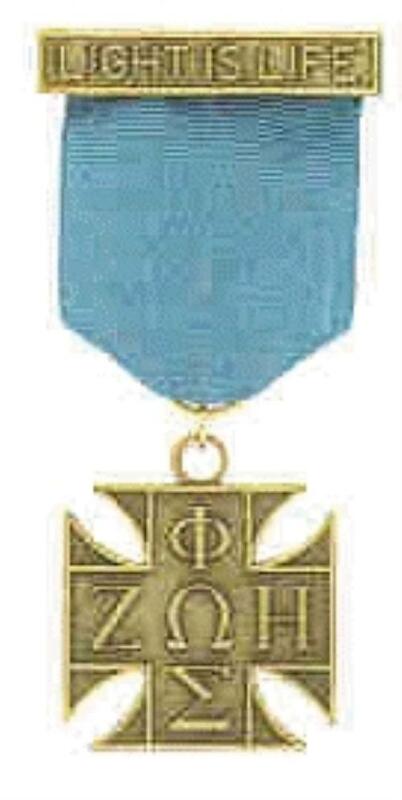 This may be earned by Tiger and Wolf Cub Scouts (grades 1-2) or equivalent age STEM Scouts. Its purpose is to help the youth develop a personal relationship with Jesus, to help them see Jesus as a real person and his friend. It is completed in a family setting with guidance, if needed, from a trained Religious Emblems Coordinator. It takes approximately two months to complete. Read more. 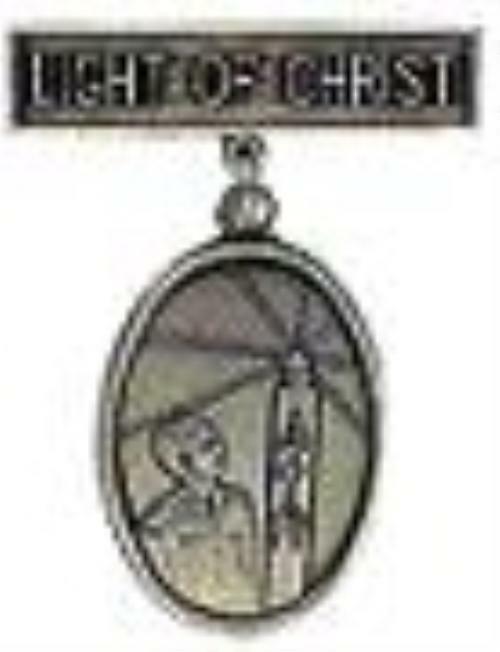 Earned by Bear and Webelos Cub Scouts (grades 3-4) or equivalent age STEM Scouts, its purpose is to help youth explore a wide range of activities in order to discover the presence of God in their daily lives as members of their families and parishes. It helps them to develop a good, positive self-image through the contributions they can make to the group or community. 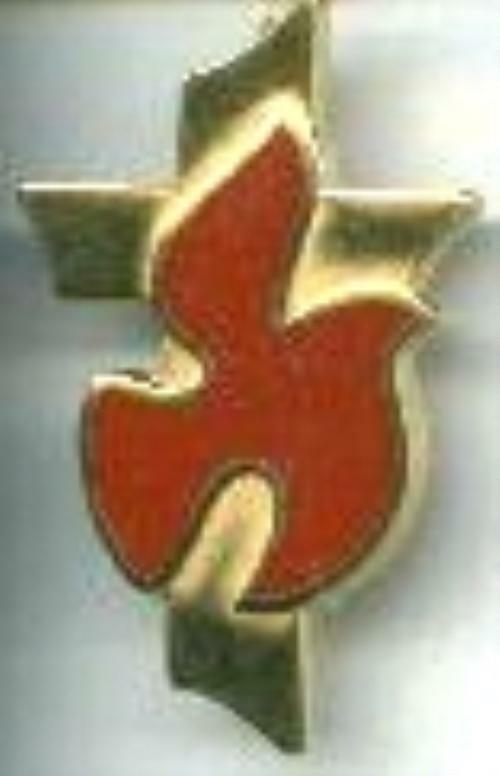 This emblem is also completed in a family setting with guidance, if needed, from a trained Religious Emblems Coordinator. It takes approximately two months to complete. Read more. This is designed for Roman Catholic youth in grades 7-8, though older Scouts, Venturers, Sea Scouts, Explorers, and STEM Scouts are also eligible. Its purpose is to help youth develop a fully Christian way of life in the faith community. The program is organized in chapters based on the seven Sacraments, a primary means toward spiritual growth. It is completed during scheduled meetings led by a trained Religious Emblems Counselor, with outside homework, and takes approximately five to seven months to complete. Read more. Note: Another option is to take part in the Ad Altare Dei retreat sponsored by the Archdiocesan Catholic Committee on Scouting (St Paul/Mpls). It is two separate weekends with time between to complete certain requirements. An alternative to the Ad Altare Dei, this is designed for Eastern Rite Catholic youth in grades 6-7, though both younger and older Scouts may also earn it. It is not appropriate to work on both emblems. 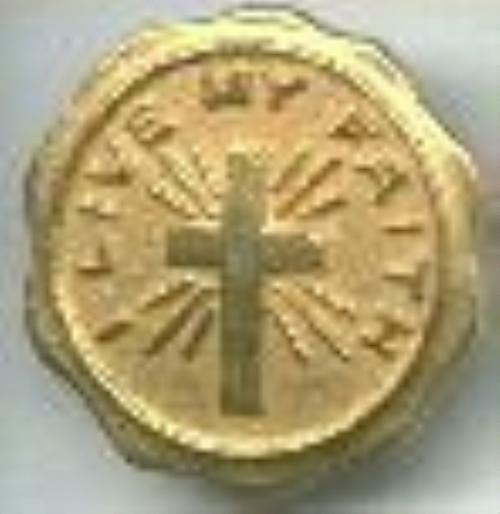 This alternate respects the cultural and ritual differences among the various Eastern Catholic Churches. The goal is to bring about in youth, through their Eastern Christian Scouting experience, a deeper awareness of their share in faith-life. Then going forth, they will witness this life through maturity in communal worship and in Christian formation of their world. It, too, is completed during scheduled meetings led by a trained Religious Emblems Counselor, with outside homework, and takes approximately five to seven months to complete. Read more. This is designed for Catholic youth in grades 9-10, though older Scouts, Venturers, Sea Scouts, Explorers, and STEM Scouts are also eligible. This is Catholic Scouting's church-related ministries and vocation program. It explores the single, married, religious, and ordained vocations as calls from God. The program is led by the group of candidates with an adult moderator and includes discussions, a retreat experience, and a ministries service project. It takes approximately 9 to 12 sessions (four to six months) to complete. Read more. 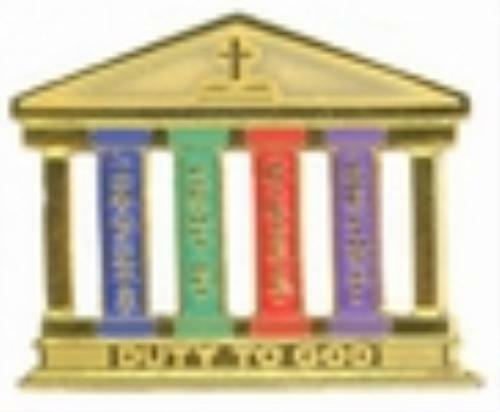 This special pin was designed for the Diocese of Colorado Springs and has been made available to other dioceses. 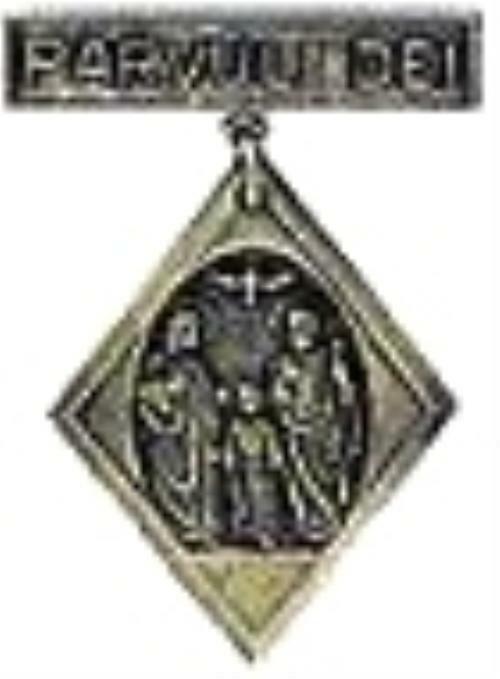 It is intended to be awarded to a youth who has earned all four Catholic youth religious emblems, a rare event. [Note: Eastern Catholics should be aware that it depicts the Ad Altare Dei along with the other three.] Print the application attached below or view our past recipients on the Honor Roll page. This knot may be worn by Cub Scouts and Scouts who have earned a religious emblem. It may only be worn on the field uniform. 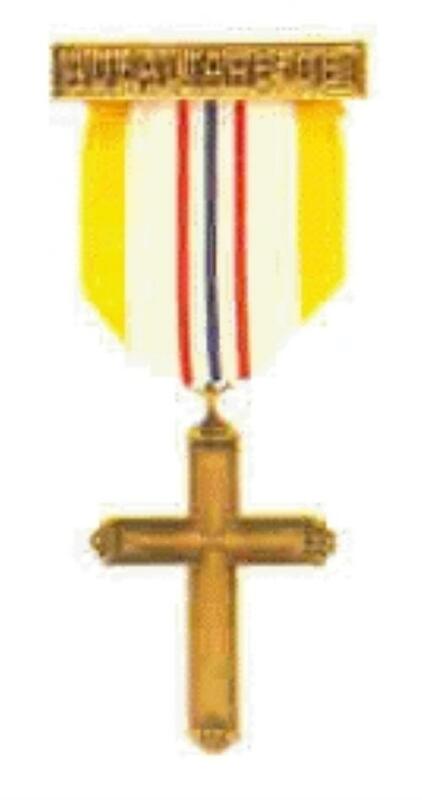 The official religious recognition program of the Roman Catholic Church in the U.S.A. for children ages 7-9 who are enrolled in the Girl Scouts of the U.S.A., Camp Fire USA, and other Catholic youth organizations. It was developed for children in grades 2-3 and is also a good companion to those achieving First Communion. It helps children discover the presence of God in their daily lives as members of their family and parish. Read more. This is designed to help Girl Scouts and Camp Fire members, ages 9-11, appreciate more deeply the place that God and religion occupy in their daily life. The action-oriented activities focus on developing awareness within the individual of his/her potential as a growing person, friend, family member, citizen, and a participant in the community of faith. Read more. The Marian Medal program is written for young Catholics, ages 12-15, to enable them to “proclaim the greatness of the Lord.” This is accomplished by actively involving the participants in an understanding of Mary as a model of openness and spirituality — a woman of the church. Through various projects, discussions, and liturgical celebrations over a period of months, the participants are provided with a unique opportunity to grow in appreciation of Mary and develop new insights into their personalities, friends, parents, and the world around them. They will meet Mary in Scripture as a young teenager and will follow her journey, as she becomes a woman and the Mother of God. Read more. Candidates are in the Senior level of Girl Scouts or are Horizon Club members of Camp Fire. They discover how the Holy Spirit moves in their lives, calling them to greater participation in the church’s ministry. Activities are an integral part of the process. Because different people have different learning styles, there are four categories to choose from: written, artistic, interactive, and digital. A final activity is the service component. Read more. 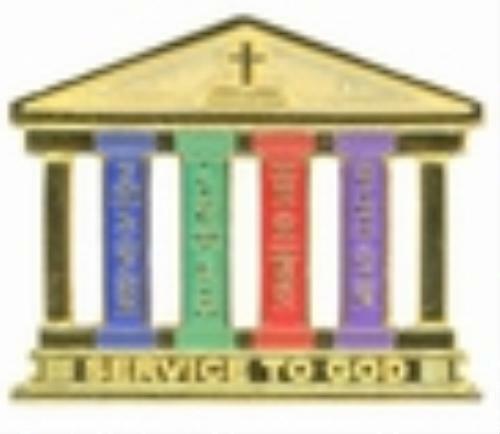 This special pin was designed for the Diocese of Colorado Springs and has been made available to other dioceses. 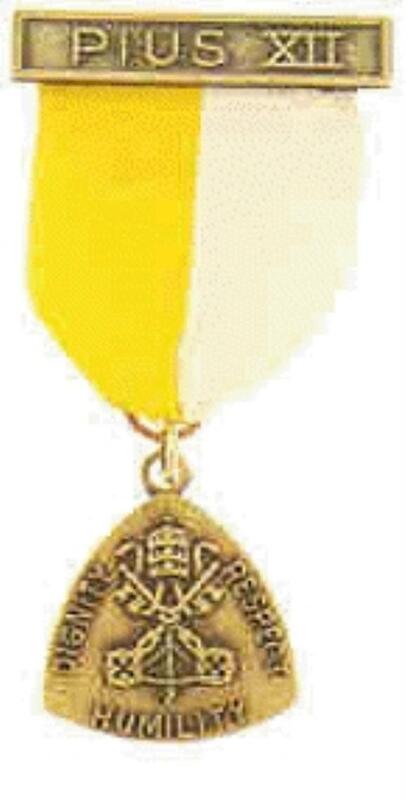 It is intended to be awarded to a girl who has earned all four Catholic youth religious emblems, a rare event. Print the application attached below or view our past recipients on the Honor Roll page. A Bishop's Scout Mass is held annually to award the Pillars of Faith to youth. 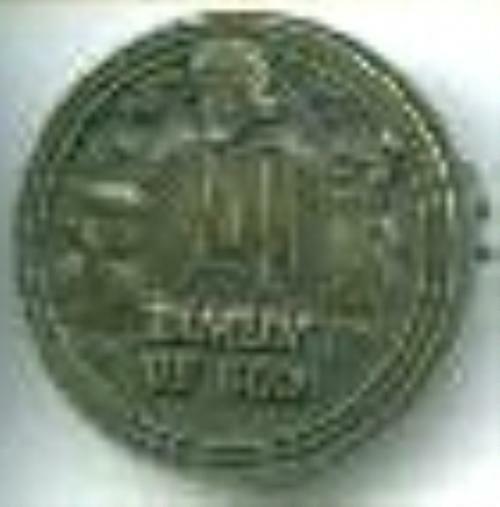 It is appropriate for emblems to be awarded to youth on Scout Sunday or at any other designated time as desired. Awarding them at Mass allows the Scout's parish to celebrate the accomplishment with him or her, and the visibility in the local parish is beneficial for the growth of our ministry. Scouts earning emblems may also be recognized at the Bishop's Scout Mass as the Bishop celebrates Scouting in the diocese. Note: Catholic Religious Emblems books may be purchased on-line from PRAY, at local Scout offices, or at the Diocese of Winona-Rochester as available. Get the appropriate signatures on the signature page as needed before starting work. 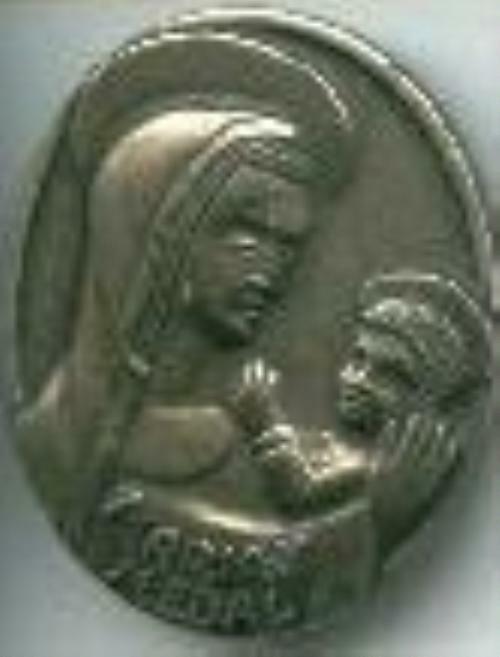 The Religious Emblems Chair may be found on our Contacts page. He or she will help you to find a trained counselor/facilitator as required for those emblems not worked on with parents. He or she will also help you to schedule a Board of Review as required for said emblems. Emblems must be ordered through the diocese. Send the signed form from the book to the Director of the Department of Youth and Young Adults at the Diocese of Winona-Rochester.